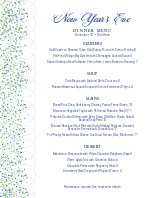 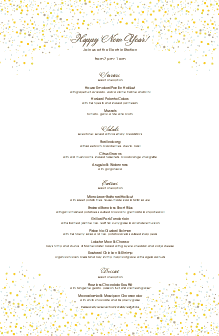 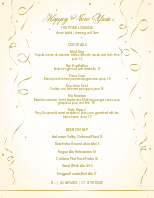 Confetti is thrown around the edges of this festive NYE menu. 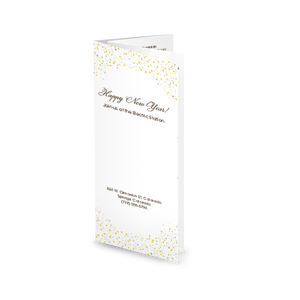 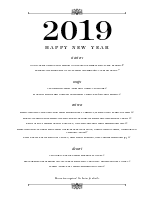 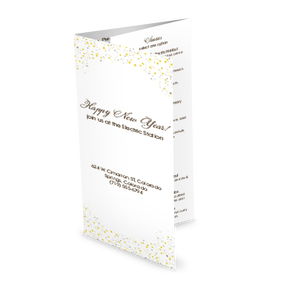 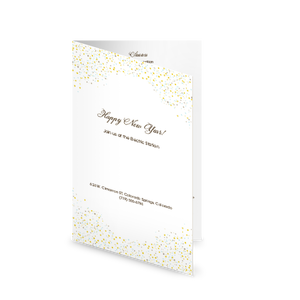 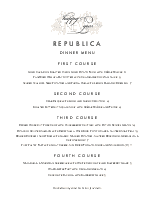 The menu template features text in one column down the center, with Happy New Year listed at the top. 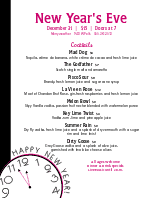 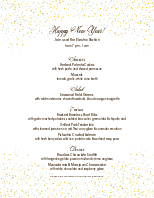 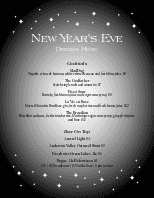 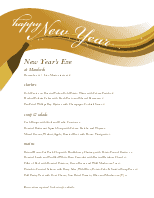 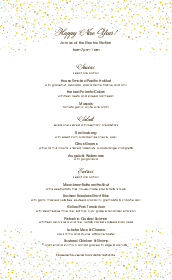 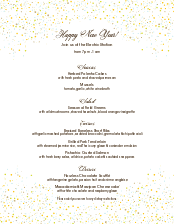 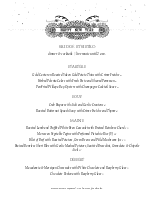 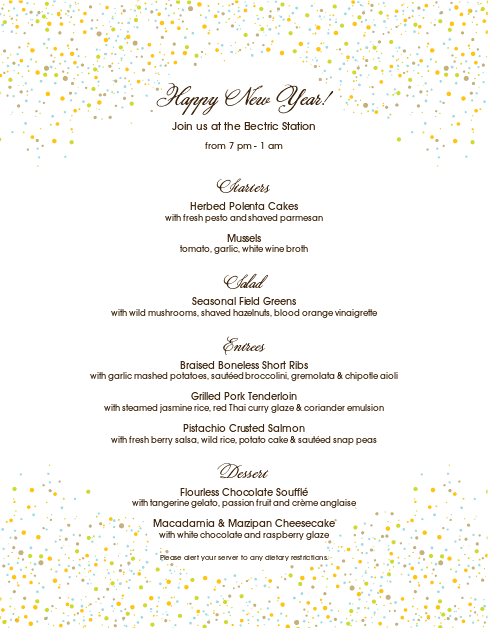 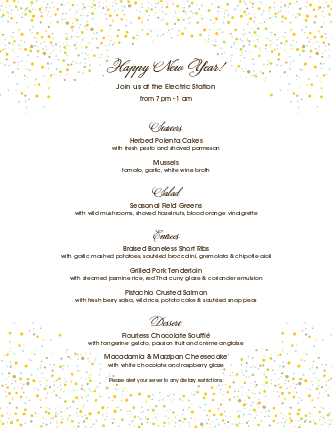 This New Year Eve Menu can be updated online using the Menu Editor.